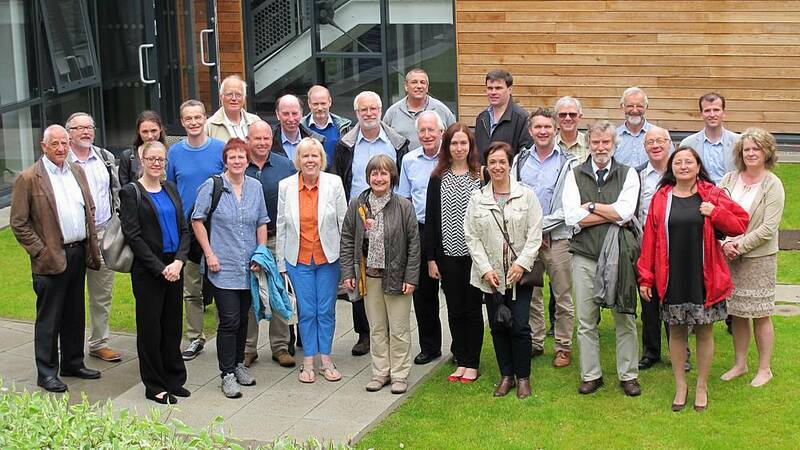 Some of the members of Atomic Spectrometry Updates at their Annual Board Meeting in Liverpool on the 7th July 2016. The members are L to R: Andrew Taylor, Mark White, Nicola Barlow (behind), Philippa Hughes, Executive Editor, JAAS (in front), Warren Cairns, Christine Davidson, Jeff Bacon (behind), Rex Taylor, John Marshall, Margaret West, Andy Fisher, Steve Hill, Jenny Cook, Robert Clough, Doug Miles, Sarah Hill, Yolanda Madrid, Owen Butler (behind), Hywel Evans, Andy Ellis, Julian Tyson, Phil Potts, Mike Sargent, Marina Patriarca, Jorge Pisonero and Christine Vanhoof. The 2016 ASU Annual Board Meeting was held on Thursday 7 July at the Byrom Street Campus of Liverpool John Moores University (City Campus). The format of the meeting was similar to that of the previous two years, with a workshop in the morning followed by the official Board meeting in the afternoon. The timing of our ABM was to allow members to attend the 18th BNASS, which was held on 4-6 July at the same campus. The Board Dinner on Thursday evening was held at Gusto Restaurant, Edward Pavilion, Albert Dock.